In August of 2017, I wrote a blog post talking about how I wanted to highlight some of the wild, wacky, and amazing types of paper that can be found out in the market. And I feel like I’ve done a bit of that. I’ve looked at a lot of Midori’s paper, some notepads and notebooks from Uzumaki, Stifflexible, Write Notepads, Eccolo, Delfonics, and Paperblanks, just to name a few. 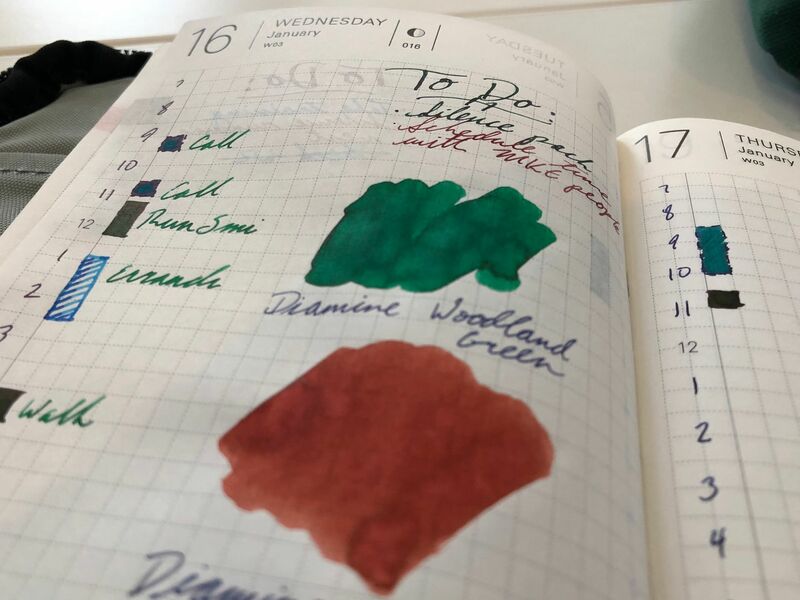 When I first wrote that post, I wanted to highlight that there’s paper out there that’s great for fountain pens, and not just Tomoe River paper. And while that’s still true, I looked around my desk the other day and realized that nearly every notebook that I was using often was some form of Tomoe River! My Hobonichi Techo was sitting on my desk, I had just wrapped up a letter on a Tomoe River letter pad, and there was a big ink blob drying on my Hippo Noto on my other desk. Even my journals are Nanami Seven Seas Writers now. What happened? Stacks on stacks on...well, you get it. First and foremost, I think the market has shifted. Even just two years ago, Tomoe River wasn’t the ubiquitous paper that we see today. Places like Paper for Fountain Pens, Curnow Bookbinding, and Nanami Paper were the only places to “easily” get a hold of TR in anything other than loose sheets. I say “easily” because even those retailers’ stock was constantly in and out, with little warning. I think that’s part of why the Hippo Noto kickstarter was so successful: it was difficult to find 52gsm Tomoe River, and 68gsm was nigh impossible. Now, though, there are first party notebooks and letter pads available from Sakae (Tomoe River’s manufacturer), and it seems like I can’t turn around without tripping over someone else who is putting out a new Tomoe River notebook. Even Elemental Notebooks, who seemed like they were coming out with a gorgeous, fountain pen friendly, non-TR paper notebook, immediately switched to Tomoe River after having some quality control problems with their Kickstarter release. There are even companies like GLP Creations who launched their product straight to Amazon, and it’s a nicely bound, 68gsm Tomoe River notebook that you can have delivered next day. Second, that availability has led to some pretty drastic price drops on Tomoe River, especially compared to other mid-market paper types. For example, I can get 100 sheets of A5, Tomoe River paper from Amazon for $16.24 as I write this. As I scroll through JetPens stationery selection, I can’t even find something else that comes in 100 sheets, and certainly nothing with the same performance as Tomoe River. Other papers that I’d consider, things like Clairefontaine and Midori work out to $12 and $18, respectively, if I look for the same number of sheets. And third, Tomoe River is still the (relatively) undisputed champ of fountain pen ink. Let’s face it, inks just look incredible when you write on Tomoe River. Shading, sheen, and color come through in spades, and nibs just glide across the paper. Sure, dry times are rather long, but the results are incredible. While there are other papers with great performance, they’re still shy of what Tomoe is capable of. I mean, come on. My to do list sheens. All that said, I don’t think having Tomoe River being a ubiquitous, cheap-ish, great paper is a bad thing by any stretch of the imagination. Especially if it’s what consumers want. But, I think there’s still plenty of room in the market for other papers to differentiate themselves. Tomoe still makes a poor choice for a pocket notebook, where dry time is king, and if you’re uptight about showthrough, 52gsm TR simply won’t cut it. As for myself, I think it’s time for me to dig around in my desk drawers a little more for some of those other great papers again. 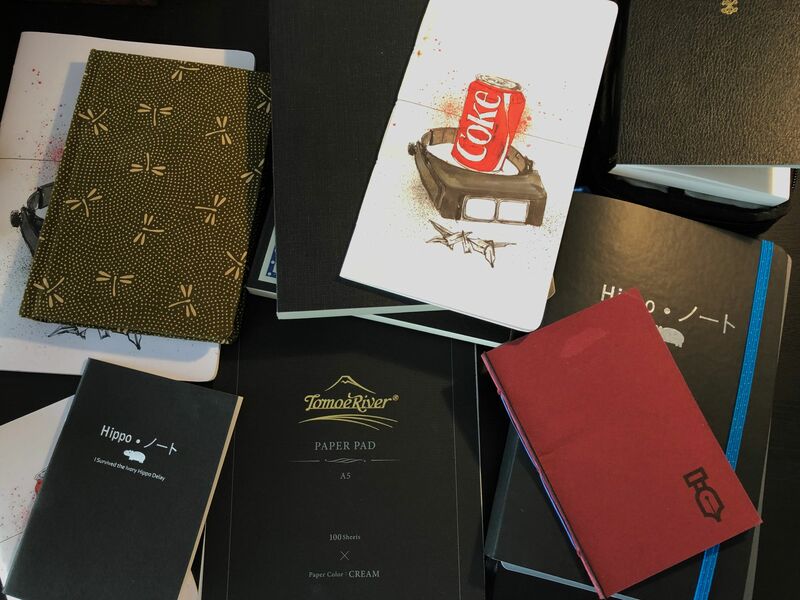 I have plenty of other notebooks and paper types that I’ve been neglecting, and maybe it’s time to make some conscious choices about what I’m using for a bit.